CAMPT-Certified physiotherapists help you recover from pain or movement problems that impact your ability to do what’s important. GET BETTER using techniques that meet international standards. RECOVER FASTER since we find and target the root cause. STAY HEALTHIER by educating you about their condition to reduce relapse. 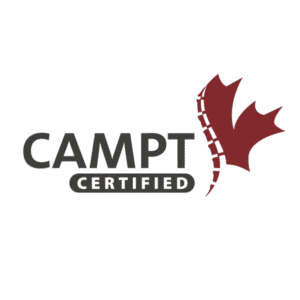 CAMPT-Certified physiotherapists are Fellows of the Canadian Academy of Manipulative Physiotherapy (FCAMPT) that have completed extensive post-graduate education and have attained internationally recognized qualifications in hands-on manipulative therapy. We provide focused treatment based on research-guided techniques that speed up patient recovery while educating them about their condition to reduce the risk of relapse. 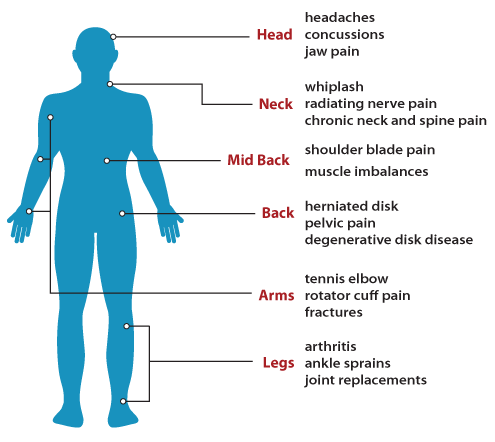 Here are some conditions where the research-guided techniques used by CAMPT-Certified physiotherapists have resulted in improvements to pain control and functional activities. Check out our Expertise in Motion video series to see how we can help with conditions from neck pain to tennis elbow or ankle sprains. To ensure your therapist is CAMPT-Certified and to make it easy for you to identify them, we created this logo that our Fellows display on their website, business cards and in their offices. FCAMPT stands for ‘Fellows of the Canadian Academy of Manipulative Physiotherapy’. In Canada, we recognize these physiotherapists through the designation of ‘FCAMPT’ or by the CAMPT-Certified logo featured on business cards, websites, clinic referral pads and on signage within clinics. CAMPT-Certified physiotherapists have advanced training and clinical abilities in Orthopeadic assessment as well as manual (hands-on) therapeutic treatment techniques.